The Pigeon River Country (PRC) is a treasured destination for hunters, fishermen, hikers, campers, bikers, horseback riders, mushroomers, canoeists and photographers. It is dedicated to offering solitude and contemplative recreation to those who seek freedom and quiet beauty among wild undeveloped woods, waters and wildlife. Hemingway called the Pigeon River Country “the greatest I’ve ever been in”. P.S. Lovejoy called it “the Big Wild”. He and other conservationists who loved the Pigeon River Country wanted to protect it for future generations. It began in 1919 with 6,468 acres of tax-reverted properties, a “Pine Barrens” expanse of lumbered and often burnt-over land. 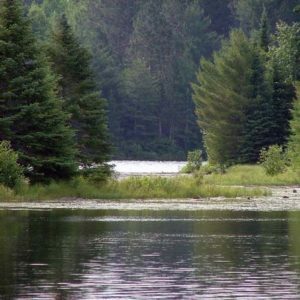 Today the Pigeon River Country State Forest is, at nearly 107,000 acres, the largest contiguous tract of wild land in Michigan’s Lower Peninsula. It is home to one of the largest elk herds in the eastern U.S., bear, bobcat, pine marten, eagle and osprey, and three of the Midwest’s premier trout streams, the Pigeon, Sturgeon and Black Rivers. Still today, its trails and back roads are “not cut up by heavy traffic at all” as Hemingway once wrote. The Pigeon’s unique sense of place survives because of conservation efforts of many people over the last century, including Herman Lunden and P.S. Lovejoy and countless, more anonymous others. Conservation involves not only honoring the best past practices and protecting the forest as it is today, but looking into the future to imagine and implement our best vision of what the forest can be. Each of us can play a role in that. The forest is silent. The rivers keep their secrets, as any fisherman will tell you. But there are stories of how scrub land have become the lush forest and clear rivers we see today. In the mid-1930’s, there were two Civilian Conservation Corps camps in the forest. Among their accomplishments is the Forest Manager’s residence, built in 1935-1936. It was vacated in 2003 but in 2018 became the Pigeon River Country Discovery Center, founded to increase awareness and appreciation of “the Big Wild” and to urge visitors to become stewards of and advocates for the forest. It contains the original manager’s office from the 1930s, along with exhibits about the elk, Hemingway’s time in the Pigeon, activities to be enjoyed while you visit the forest, the more recent history of oil and gas development, and the 2015 removal of the dam across the Pigeon River. Educational classes focused on environmental education are offered periodically. The PRC, designated as a “special management unit” in 1973, now consists of approximately 170 square miles of state land containing streams, lakes, wild forests, dense swamps, and rolling hills. 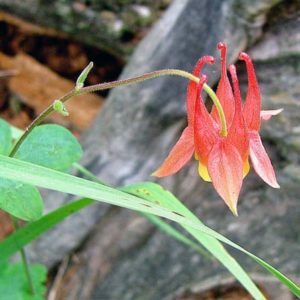 To preserve its wild characteristics, special objectives were adopted by the Natural Resources Commission in 1973 and reaffirmed in 2007.Stated objectives include sustaining a healthy elk herd; managing game species such as woodcock, grouse, deer, and others for hunting and viewing opportunities; protecting water quality, stream habitat, and managing the streams for a naturalized trout fishery and the lakes for trout and game fish; providing recreational opportunities for people in keeping with the wild qualities of the area; and protecting Pigeon River Country (PRC) from overuse and over-development that could destroy its wild character. The PRC in 1990 acquired the major part of Blue Lakes (10’N 22’W) Ranch in Montmorency County, some 2,600 acres containing three lakes and more than two miles of frontage along the Black River. Access is walk-in only: except for the designated parking area on the west side and a half-mile-long two-track on the east side. A ban on all motorized vehicles helps maintain the wild character of this tract. Scenic vistas, prime wildlife habitat and eight miles of Sturgeon River (10’N 34’W) frontage dominate this 6,300-acre tract on the west side of the PRC, known as Green Timbers. Purchased by the Department of Natural Resources (DNR) from McLouth Steel in 1982, Green Timbers is closed to motor vehicles, including snowmobiles. This gives both people and wildlife a place without motors and provides the visitor an opportunity to enjoy some of northern Michigan’s remote backcountry.